Together we have completed another successful Masonic year and are starting a new one with newly elected officers. The annual meeting and election was held at our stated meeting on November 7. I would be remiss if I didn’t say that we also enjoyed the traditional oyster stew and chili prepared by our dedicated Tyler, Bryant Lee. It is a tradition that we all look forward to every year. We had a good turnout and a fun evening together. If you weren’t able to attend I hope you can join us next year. I would like to congratulate Worshipful Brother Jon Dinan on a fine and successful year just completed. We have been busy the past several years with degree work and at the present time have several new brothers so. I encourage all of you to come and see how our brethren are doing in the degree work and offer any suggestions on how to make our work better. Our annual inspection this year is Wednesday, March 6, 2019 in the Master Mason Degree.Join us if you can. 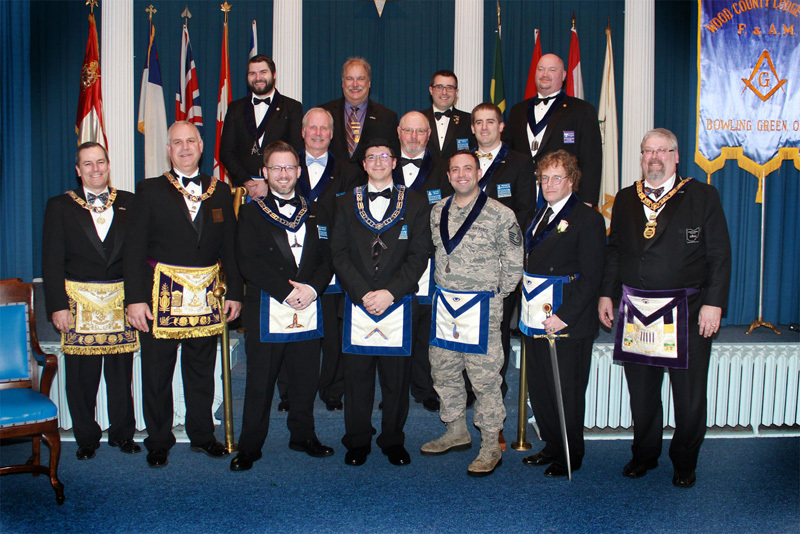 Almost no one ever joined Freemasonry because Winston Churchill or Walt Disney was a Mason. Almost no one ever joined because of any of the many great Masonic heroes. Joining Freemasonry doesn't make us any of those people. Almost no one ever joined so that they could give money to charity. You don't have to be a Mason to do that. Almost no one ever joined because of our attention to Lodge rules and regulations.They don't know about our procedures. They joined because someone they knew and admired was a Mason. It could have been a father, a friend, a man down the street, or someone a thousand miles away. Who, it didn't matter. They admired him and wanted to do the things he did, and they did it by the millions. Want to help our growth? Be the kind of man someone admires, because someone will notice.